OF GRACE PREP GRADUATES ATTEND COLLEGE. The bureau of Labor Statistics states in their economic news release that an average of 68.4% of 2014 high school graduates were enrolled in colleges or universities. Revolution of Grace is an integrated character development program designed to enhance the mission of our school in partnering with parents to develop character witnesses for Christ. Grace Prep desires to help families address the challenge of spiritually mentoring our GPA students so that they are equipped in a variety of ways. From Student Council, to Class Council, to Leadership Council, to SWAG, there is a place for your student to become a leader on campus. Each program gives your student a unique opportunity to get involved and make a different in their education. 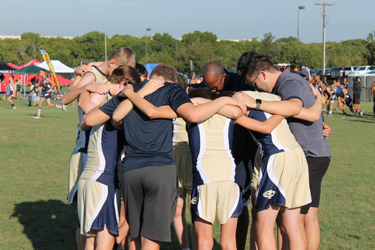 Learn more the variety of leadership opportunities that Grace Prep has to offer. We are developing ways for our alumni to get in touch and stay in touch with our Academy. We are proud of our alumni and want to keep them in the loop with all the amazing things happening at their alma mater! It’s a GREAT day to be a Lion! Find out what is happening on campus! From past events, to future events that you want to be part of, we keep you up to date with all of the news! Check the score of last week’s game, see how fun the field trip was or discover what events are taking place this week!